On Sunday, I flipped over from Iron Chef America‘s “Super chef battle” to find that Homer Simpson‘s brain is a Macintosh. And an old Mac, at that. If I’m right, my geeky friends will analyze the screenshot and confirm that my guess that Homer is running Macintosh System 6 is correct. The writers of the Simpsons may have altered some icons to avoid a notice from the litigious legal department at Apple but to this geek’s eyes, that looks like a Mac, circa late-80s. If you look at the screen shot of System 6 below, via Wikipedia, you’ll see that there’s no “Finder,” just the Apple symbol on the top left. 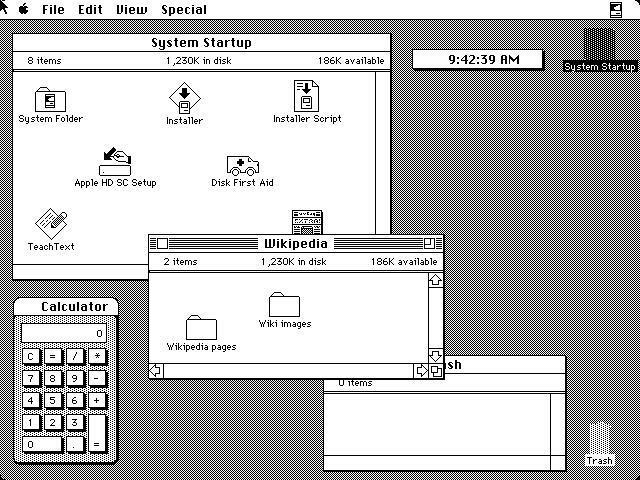 The OS above, however, is more similar to System 6 than the more rounded icons in the GUI that Apple introduced in System 7, along with a host of other improvements. 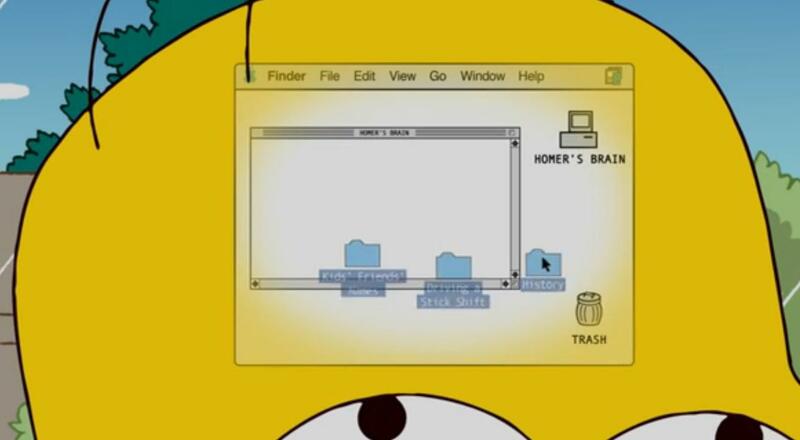 Given that the Simpsons debuted in 1989, System 6 would have been the OS in use at the time. It wouldn’t surprise me at all, given the glorious geekiness of those writers, if Homer’s brain hadn’t been upgraded since. “Thursdays With Abe” is free to watch online now, for as long as Hulu makes it available. Skip to the 9 minute mark for the key bit. Good to see the old screen & icons once more. Very observant! Looks to me like the menu bar is from OS X (“Finder” through to “help” is in the same sequence), while the rest is from System 7. It’s actually MacOS 7.x, you can see that from the Icons and the Window frames, which changed on MacOS 8. I do miss the classic Chicago MacOS system font, though. Nevertheless one of the coolest simpsons sketches in my opinion! It’s safe to say this is more of a creative mashup of various macOS versions than specifically 6.